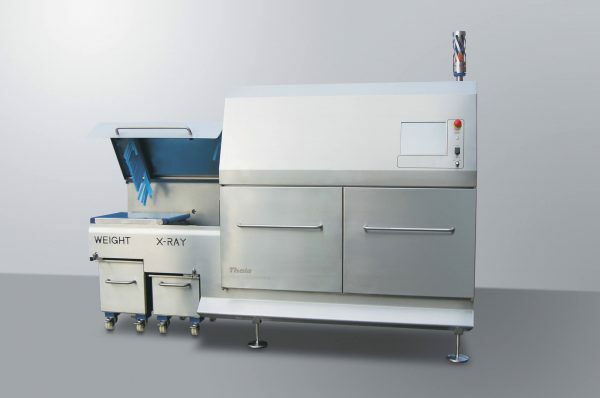 The Theia XL is ideal for large format products such as packaged tin bread or joints of meat. The System has been designed, engineered and constructed to the highest high care/food grade engineering standards. Speed: 150 packs per minute. 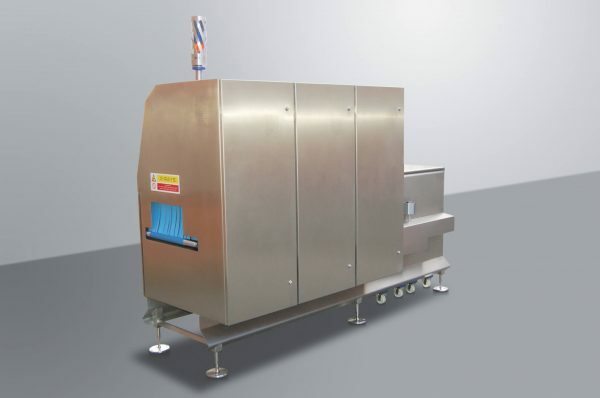 Trend (Servo) feedback to upstream equipment. 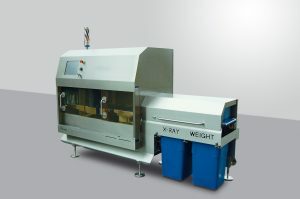 Average weight (e mark) or minimum weight operation. 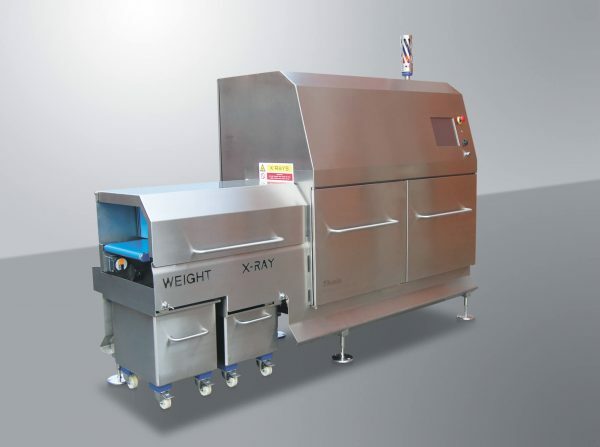 Fully compliant with HACCP and Retailer code of practice requirements. 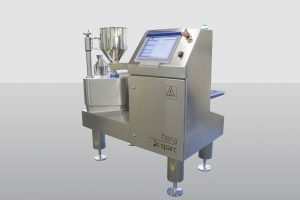 Automatically and accurately blend up to 8 kilograms of minor ingredients per minute. 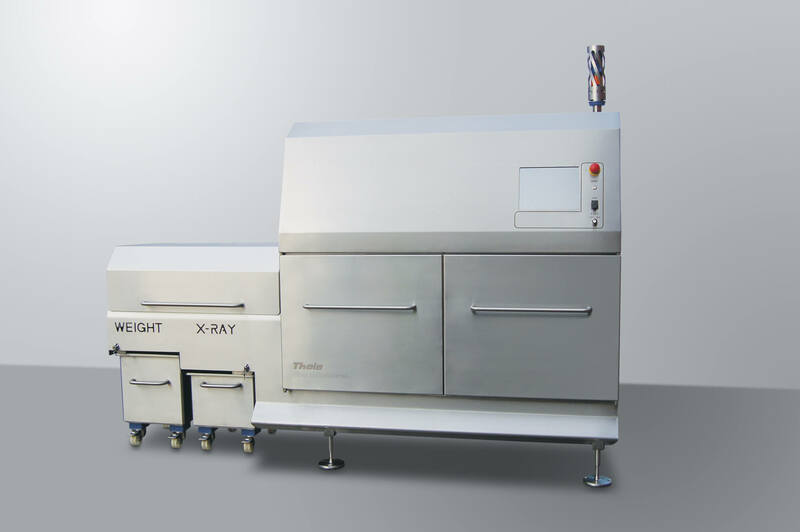 Combined metal detection, packaging inspection and checkweighing system.